here is how we solve this set of equations. Let . 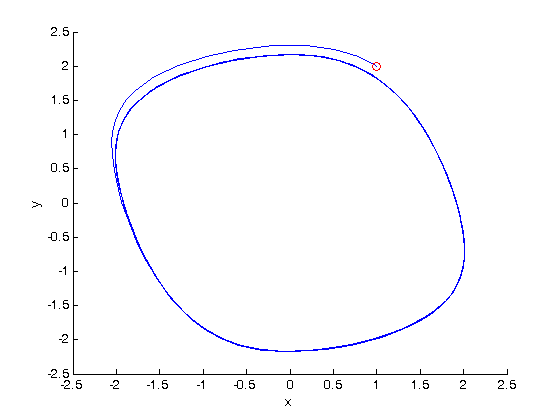 it is common to create a phase portrait. 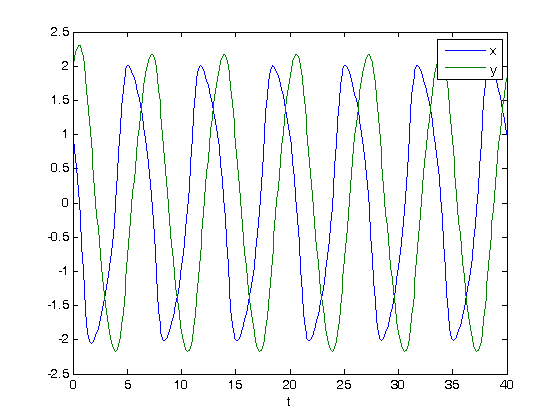 Although the solution appears periodic above, here you can see a limit cycle is definitely approached after the initial transient behavior. We mark the starting point with a red circle.